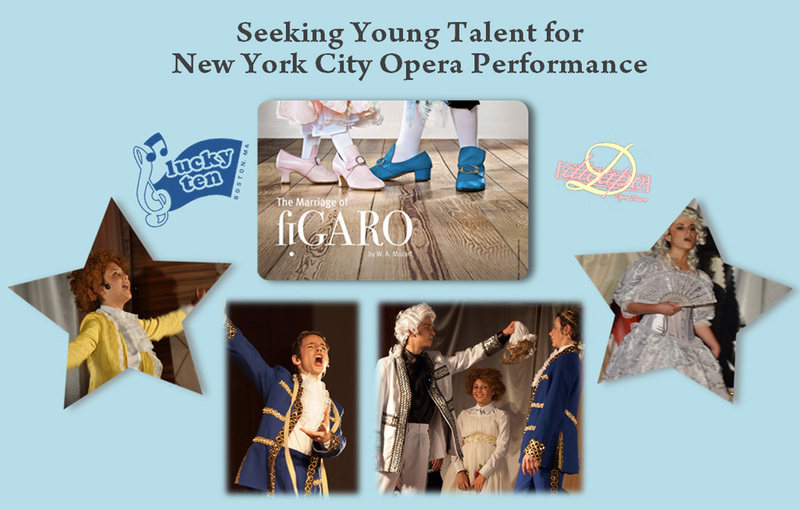 Let your true talent shine in this fully staged opera production of Mozart’s “Marriage of Figaro” accompanied by a professional orchestra. The show will take place in New York City’s renowned Dicapo Opera Theater on September 23rd 2012. Auditions are accepted in person or via video tape. Please e-mail luckyten@luckyten.org for arrangements.